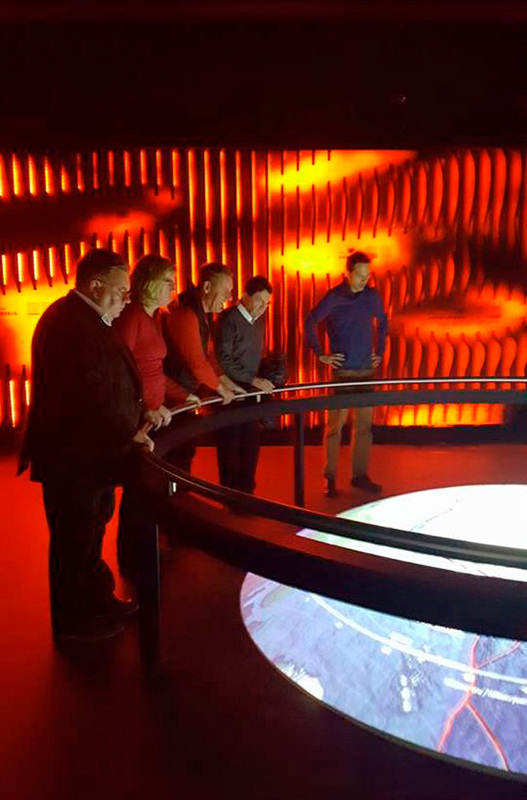 UNWTO – Secretary visited LAVA Centre in connection of the annual general meeting of the Icelandic Tourist Board. 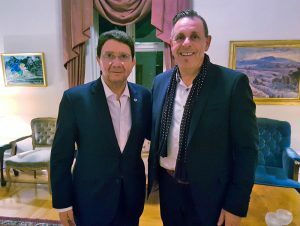 UNWTO – Secretary – General, Mr. Taleb Rifai and Christopher Imbsen Deputy Regional Manager for Europe visited The New LAVA–Centre last week in connection of the annual general meeting of the Icelandic Tourist Board. They were accompanied by Ólöf Ýrr General Manager for the Icelandic Tourist Board and Mr. Isólfur Gylfi Mayor of Hvolsvöllur. Our guests enjoyed the visit immensely and stated that the new LAVA-Centre was one of the highlights of their visit to Iceland and a clear example of how to build a new exiting tourist attraction where ever in the world. LAVA “Iceland Volcano & Earthquake Centre” is a brand new interactive educational exhibition centre dedicated to the unique volcanoes and geology of Iceland. Located in Hvolsvöllur, just off Road 1, it’s an easy day-trip from Reykjavík or a must-see addition to your South Iceland trip. The LAVA centre features an interactive exhibition exploring the art and science of geology and the volcanic systems in Iceland. Information from the past century’s eruptions demonstrate just how strong a presence volcanoes have in contemporary Iceland. Feel the forces of nature as you experience an earthquake and see the Fiery Heart of Iceland, a 12m high structure simulating the Mantle plume and the magma flow underneath Iceland. In an educational learning centre you can explore the wonders of volcanoes and earthquakes through interactive computers and there’s also a cinema auditorium where visitors can see the magnificence of volcanic eruptions in HD and 4K.